Spartans, ready your assault rifles and prepare to take the fight to new fronts! The Covenant crushed human defences on Reach, but the fight for humanity’s survival still rages on in three brand new battlefields set on the doomed planet. With maps set on a giant orbital station high above the burning surface of the planet, hidden inside the forest of a military wilderness training facility, and wrapped in the remnants of a civilian mining site, the Defiant Map Pack brings awesome new environments for Firefight matches and all competitive multiplayer modes. · Condemned: Condemned takes place aboard Orbital Station Gamma, a massive space station high in orbit above the planet Reach. Prior to the Covenant’s overwhelming invasion, Orbital Station Gamma provided long range communications for UNSC fleets and a vital lifeline between Reach and Earth. During the Battle of Reach, the station suffered terrible punishment at the hands of the Covenant but a few fortified sections remain intact, fully pressurized, and ready for combat. Condemned supports 6 – 12 players in a variety of action-packed game types, including Team Slayer, Team Objective and Free for All. · Highlands: Highlands takes place on the top-secret Military Wilderness Training Preserve on Reach. 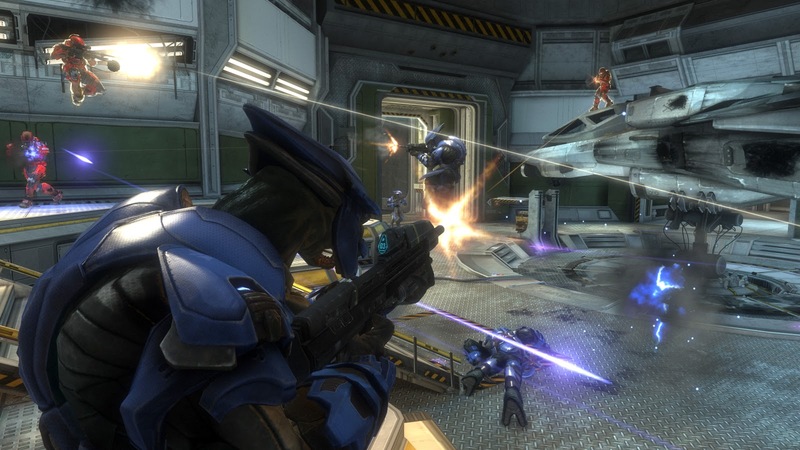 The Preserve is a large, wooded area where Spartan super-soldiers trained long before the war with the Covenant began. During the Battle of Reach, the Preserve was the site of key battles between the alien invaders and a group of Spartans who used their familiarity with these UNSC training grounds to significant tactical advantage…but not everyone who enters these woods makes it out alive. Highlands expands the fight with massive-scale engagements for 8 – 16 players in Big Team Battle, Team Slayer and Team Objective. · Unearthed: Unearthed takes the battle for Reach to a large Titanium mine and refinery located in the Viery civilian sector of the planet. This particular mine was built to take advantage of the exposed titanium inside a massive meteor crater. The titanium produced here is used in much of the UNSC hardware, from the chassis of the Warthog to the metres-thick armour plating of capital ships like the UNSC Pillar of Autumn. While this facility was quickly abandoned when the Covenant arrived on Reach, it still has significant tactical (and economic) value and it won’t be long before both humans and Covenant return to battle for control. 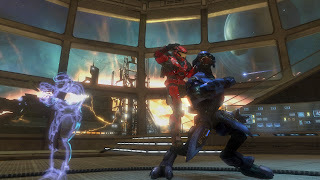 Unearthed allows up to 4 players to launch a counterassault against the Covenant in Firefight and Firefight modes such as Generator Defense. Created in partnership with Certain Affinity, the Defiant Map Pack will be available this March on Xbox LIVE for 800 Microsoft points, and will include all new Achievements worth a total of 150 Gamerscore. Eager for a first look at the brand new multiplayer maps? Be sure to check out the explosive world premiere trailer of the Defiant Map Pack available today on Halo Waypoint and Halo.Xbox.com. 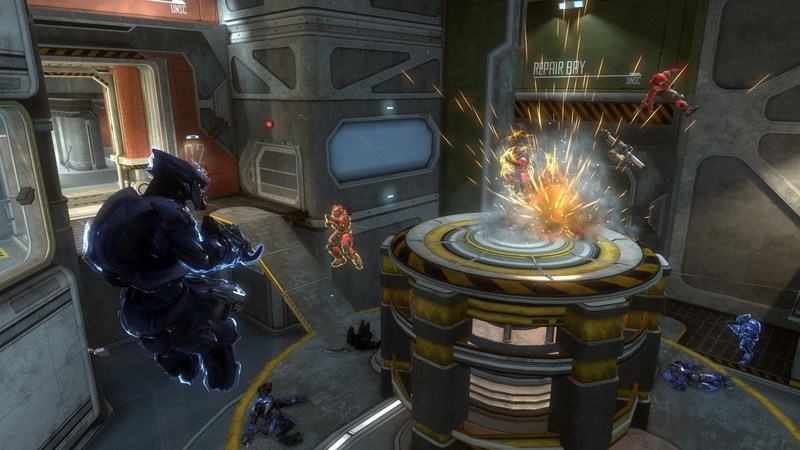 The prequel to the bestselling Xbox franchise of all time, “Halo: Reach” is the top-rated shooter of 2010 and one of the must-have entertainment experiences of this generation. To date, more than 40 million copies of “Halo” games have been sold worldwide, driving more than 3.3 billion hours of gameplay by people connected to Xbox LIVE.